Are you dealing with the same problems over and over again in your home? Do you feel stuck in a bad version of Groundhog Day? What you need is a miracle . . . a miracle question, that is. Therapists who use cognitive behavior approaches to treatment often employ this technique in brief, solution-focused sessions with clients. It is a cognitive (or mental) exercise that encourages the client to use his imagination to get unstuck and to find solutions to his own problem. As the client mentally walks through his day, pointing out all the differences caused by the miracle, the therapist writes down all the observable changes that the client sites. These changes become the way “in” to break the cycle of problematic thoughts and behavior patterns and to identify specific, concrete ways to measure change and progress. Let’s say that your child is consistently struggling with poor anger management issues. You want to help him address it and find healthier coping mechanisms, but you find that you are just lecturing to deaf ears. At a time of peace ask the above question, filling in the problem with an agreed-upon personified name for the anger he is experiencing such as The Angries, The Fire, etc. Mom: Imagine that while you were sleeping tonight a miracle happened. While you slept, The Angries mysteriously disappeared. When you got out of bed the next morning, what would be the first thing you noticed that would clue you in that a miracle had happened? Son: Well, I guess I wouldn’t yell at you when you tell me to get up. Mom: Why wouldn’t you yell? Son: I guess because I would feel ready to wake up. Mom: Why would you feel ready to wake up? Son: I guess because I had turned the radio off earlier the night before and fell asleep earlier. Son: Well, I wouldn’t get yelled at for taking so long to get dressed. Son: Because you would be nicer. Mom: How would I be nicer? Son: You would help me pick out my clothes because I never can decide what to wear. Son: Well I guess I would go eat breakfast. And while I am eating breakfast, Joey won’t be annoying me by kicking me under the table. Son: Because he wouldn’t exist. Helping the son find ways to remember to turn off the radio the night before. Helping the son pick out his clothes in the morning or the night before and by teaching him how to check the weather for the day to make an appropriate choice. Addressing the underlying feelings this child has toward his brother and uncovering the real heart issues at work. 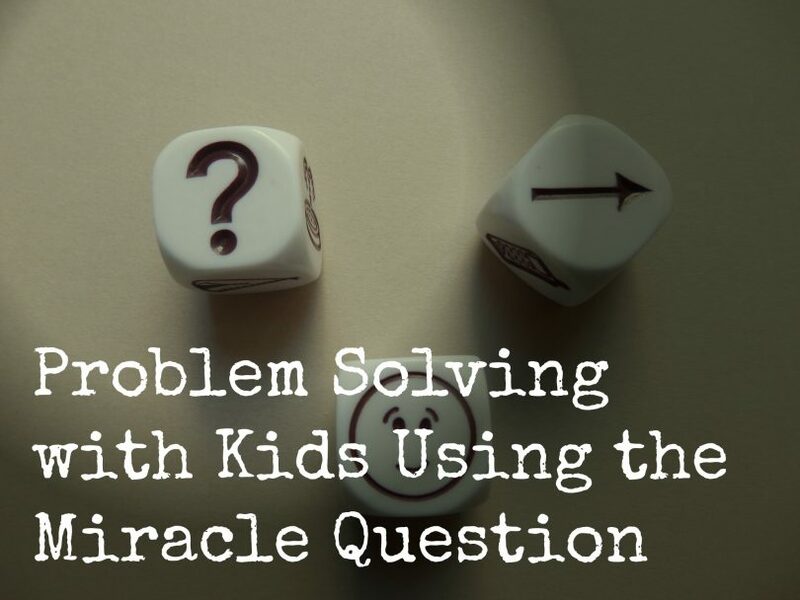 The key to using this tool with your children is to not judge their answer or responses (remember this is just an imaginary exercise) and to not jump into repair mode right away. After the child has walked through his day and you have your notes, you can go over what you have learned together. Take some time alone to examine your notes and formulate follow up questions or ideas. Then come back together and brainstorm ways that the problems can be addressed. You don’t have to be a therapist to use this effective tip in your home. The next time you are struggling to make a change in your home, give this technique a try.